In 1924, an era when craftsmanship and personal service were paramount, Arthur Butters and Robert Fetting opened a plumbing and heating store in Milwaukee. 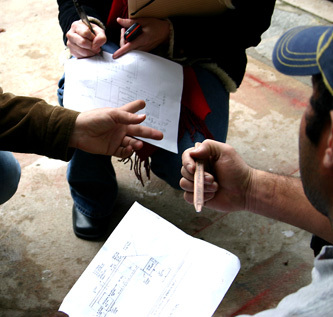 Soon, their small firm established itself as a reliable and respected source for the contracting industry. As the company's reputation grew, so did its capabilities, to providing every kind of contractural service to meet customer needs Today, Butters-Fetting is one of the most comprehensive mechanical contracting firms in southeastern Wisconsin. Over the decades, Butters-Fetting has evolved to meet the changing needs of its customers, successfully blending tradition with technology. State-of-the-art tools such as CAD engineering and design systems complement time-honored customs like hard work and round-the-clock service. Still proudly bearing the names of its founders, Butters-Fetting remains committed to the highest quality workmanship and the highest caliber relationships.